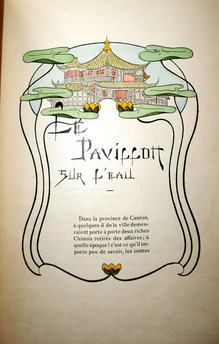 Gautier’s translation of The Water Pavillion from Chinese to French wasn’t the first. 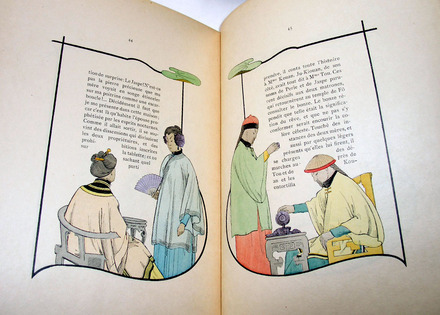 Jean-Pierre Abel-Remusat (1788-1832), a Chinese literature scholar, published a translation of the folktale in 1827. 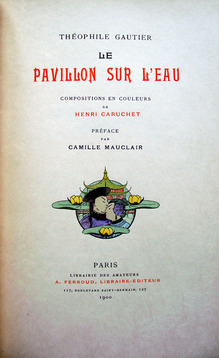 Gautier followed with his own version in 1846, and included it in his 1852 compilation La Peau de tigre (The Tiger Skin). 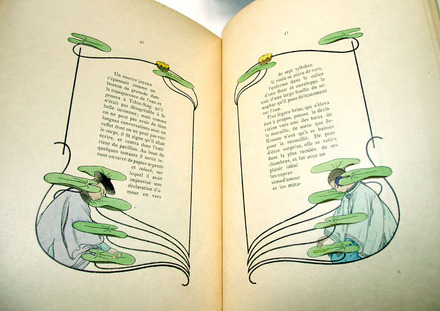 Paris art publisher Ferroud used the last for his 1900 limited edition. Thank you for sharing such a fascinating piece! 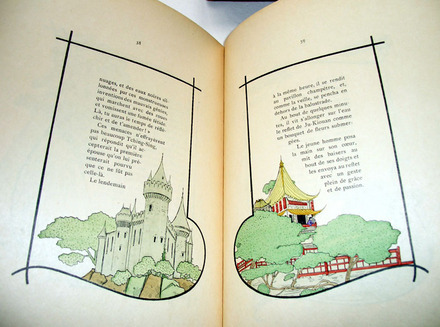 Now I wish I could read French to know what the story is about, and what adaptations or changes were made. 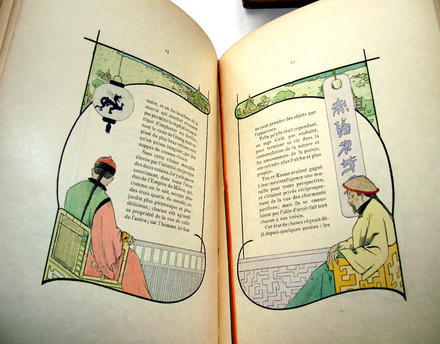 At least I could tell that those light-blue "Chinese characters" in the picture were made up symbols.